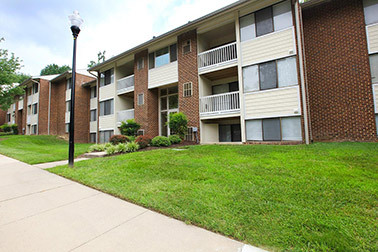 Skylark Pointe, a 336-unit apartment community in Parkville, Md., was one of the nine properties purchased in the $309 million portfolio sale. 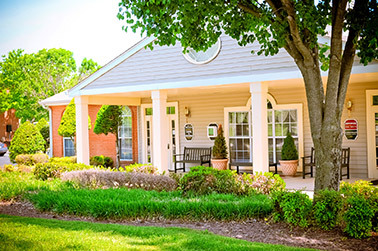 KING OF PRUSSIA, PA. -- A joint venture between Morgan Properties and The Olayan Group has acquired a 2,671-unit multifamily portfolio from Berkshire Property Advisors for $309 million. 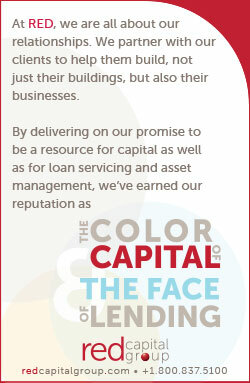 The portfolio consists of nine apartment communities in the Maryland-Washington, D.C., corridor and Newport News, Va. 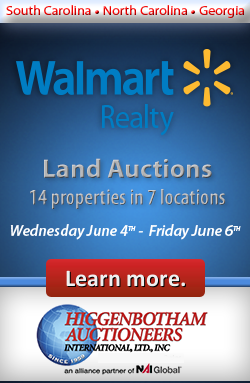 The largest community in the transaction is the 606-unit Harbor Place in Fort Washington, Md. 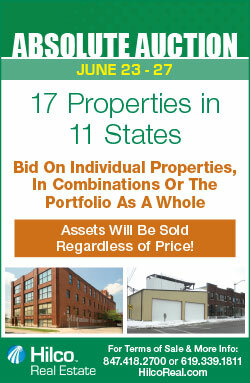 CBRE represented the seller in the transaction. 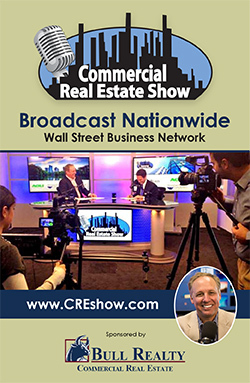 The buyers plan to implement a portfolio-wide renovation program and amenity upgrades. Morgan Properties also plans to hire a number of Berkshire employees in the near future. 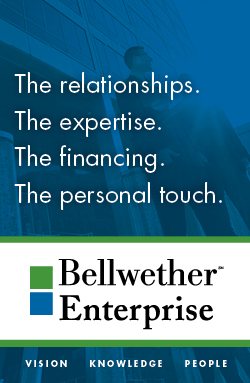 This is the second transaction this year between Morgan Properties and Berkshire. 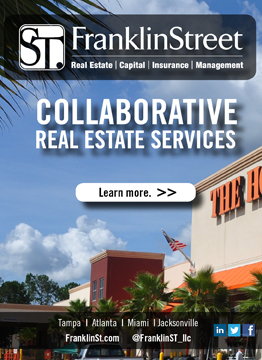 BOCA RATON, FLA. -- HJ Sims has raised roughly $214 million for a start-up continuing care retirement community (CCRC) in Boca Raton known as Sinai Residences of Boca Raton. The property is located on the campus of the Jewish Federation of South Palm Beach County. The resort-style CCRC features 237 independent living units, 48 assisted living units, 24 memory care units and 60 skilled nursing suites. Federation CCRC Operations Corp. is overseeing the property's development, ownership and management. HJ Sims structured $120.7 million of tax-exempt fixed-rate bonds, $69 million of Entrance Fee Principal Redemption Bonds and $24.1 million of Draw Down Bonds. 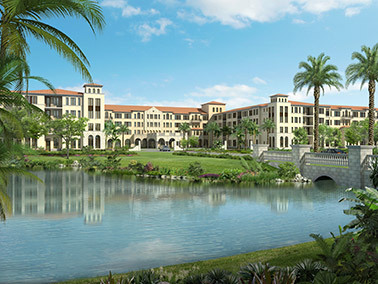 Sinai Residences of Boca Raton is slated to open in 2015. The project team includes development and marketing consultant Greenbrier Development, manager Life Care Services and architect Perkins Eastman. 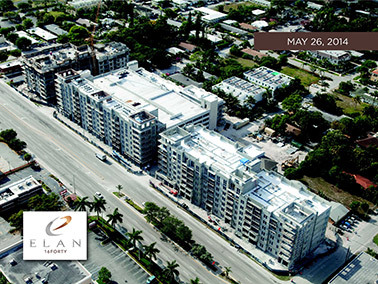 Elan 16Forty will feature one-, two- and three-bedroom units ranging in size from 686 to 1,599 square feet. FORT LAUDERDALE, FLA. -- Stiles Construction has topped off construction on Elan 16Forty, a 261-unit luxury apartment community at 1640 E. Sunrise Blvd. in downtown Fort Lauderdale. 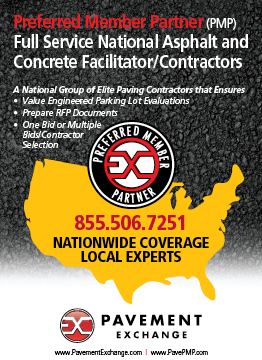 Greystar owns the project and will operate it upon completion in September. Elan 16Forty will feature one-, two- and three-bedroom units ranging in size from 686 to 1,599 square feet. The community will feature 2,300 square feet of ground-level retail space, a gourmet demonstration kitchen, community room, business center, game room, resort-style swimming pool, sun deck with cabanas, outdoor grilling stations and a rooftop terrace. 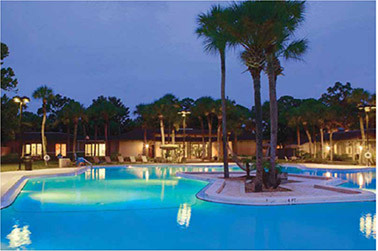 Villages of Baymeadows is a 904-unit apartment community located at 7915 Baymeadows Circle E. in Jacksonville. JACKSONVILLE, FLA. -- CBRE has arranged a $49.8 million acquisition loan for Villages of Baymeadows, a 904-unit apartment community at 7915 Baymeadows Circle E. in Jacksonville. The community, built in 1972, offers one-, two-, three- and four-bedroom layouts that average 1,199 square feet. The property's amenity package includes a clubhouse, nine resort-style swimming pools, four lakes, a fitness center, volleyball court, playground and private garages. 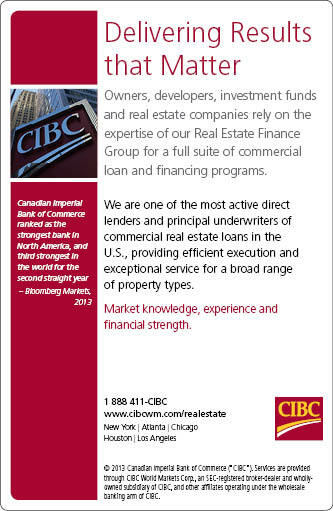 Charles Foschini, Christian Lee and Christopher Apone of CBRE arranged the five-year loan through Wells Fargo of New York on behalf of the borrower, Norfolk, Va.-based Harbor Group International. LogistiCenter Louisville is a 315,147-square-foot distribution facility in the Renaissance South Business Park. 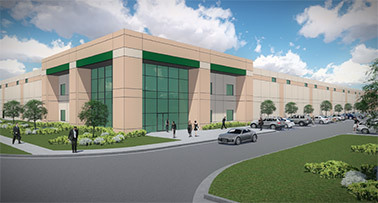 LOUISVILLE, KY. -- Dermody Properties has commenced construction on LogistiCenter Louisville, a 315,147-square-foot distribution facility in the Renaissance South Business Park near Louisville International Airport. 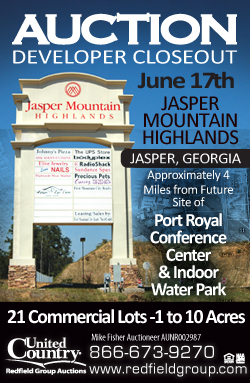 The property will feature 32-foot clear heights, 60 dock doors, four drive-in doors, parking for 336 cars and 73 trailer stalls. Dermody Properties will develop the project in partnership with PCCP LLC. Construction is expected to wrap up in September. Wingate Apartments consists of two components: the 385-unit Vista at Wingate, which is composed of three high-rise buildings, and the 329-unit Gardens at Wingate, a garden-style community. 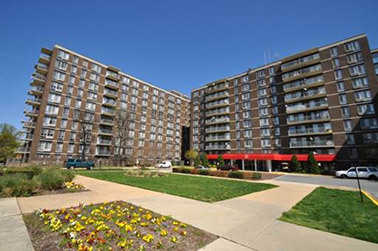 WASHINGTON, D.C. -- HFF has advised on the equity and debt capitalization totaling $39.4 million for the acquisition of Wingate Apartments, a 714-unit apartment community located at 4660 Martin Luther King Jr. Ave. S.W. in southwest Washington, D.C. The property consists of two components: the 385-unit Vista at Wingate, which is composed of three high-rise buildings, and the 329-unit Gardens at Wingate, a garden-style community. Brenden Flood, Cary Abod, Alan Davis, Dave Nachison and Bret Thompson of HFF arranged the debt and equity financing on behalf of the borrower, CIH Ventures Inc. HFF arranged a $27.6 million, 10-year Fannie Mae loan through M&T Bank, along with $8.5 million in equity through The Zitelman Group, $1.8 million from CIH principals and $1.5 million from a CIH private syndicate. Victoria Park Apartments is a 348-unit multifamily community located at 1000 Victoria Park Blvd. 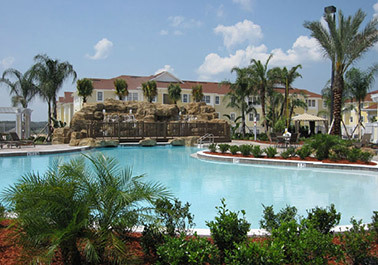 in Davenport, Fla.
DAVENPORT, FLA. -- NorthMarq Capital has arranged a $36.3 million loan to refinance Victoria Park Apartments, a 348-unit multifamily community located at 1000 Victoria Park Blvd. in Davenport, about 35 miles southwest of Orlando. Melissa Marcolini Quinn and David Schofield of NorthMarq's Orlando office arranged the 10-year loan with a 30-year amortization schedule through a CMBS lender. Villages at Spring Hill, built in 1994, offers one- and two-bedroom units and three-bedroom townhomes. The units average 916 square feet. SPRING HILL, TENN. -- Steadfast Apartment REIT has acquired its first community, the 176-unit Villages at Spring Hill in Spring Hill, for $14.2 million. The apartment community, built in 1994, offers one- and two-bedroom units and three-bedroom townhomes. The units average 916 square feet, and the average rental rate is $808. Located 40 minutes south of Nashville, the community offers amenities such as a pool, tennis courts, laundry facilities, a picnic and grill area and a sand volleyball court. 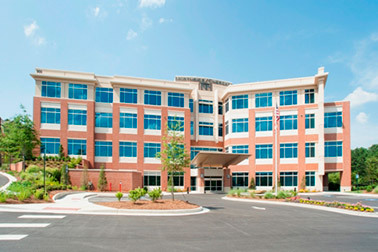 Brasfield & Gorrie constructed Northside-Cherokee Towne Lake medical office building in Woodstock from recycled materials. WOODSTOCK, GA. -- The United States Green Building Council (USGBC) has awarded LEED certification to the Northside-Cherokee Towne Lake medical office building (MOB) in Woodstock. Indianapolis-based Duke Realty is the developer and owner of the four-story, 100,797-square-foot MOB, which opened in June 2013. "LEED certification identifies Duke Realty's Northside-Cherokee Towne Lake medical office building as a showcase example of sustainable design and demonstrates leadership in transforming the building industry," says Richard Fedrizzi, president, CEO and founding chairman of USGBC. Before the MOB was constructed at the site, a local developer began construction of a mixed-use project in the high-profile Towne Lake area of Woodstock, about 25 miles north of Atlanta. During the Great Recession, the retail and restaurant buildings faltered, and proposed townhomes were never built. By 2009, the mixed-use space was mostly vacant. Under Duke Realty's direction, the contractor, Brasfield & Gorrie, recycled more than 90 percent of the remaining demolished building materials, diverting them from local landfills. The design team, including Duke Realty and architects Lyman Davidson Dooley Inc., was able to integrate existing site elements such as rubble retaining walls, a large retention water feature and surface parking lots into the final design of the project. "The Northside-Cherokee Towne Lake project is a success on many levels," says Jeremy Fortier, senior healthcare manager of Duke Realty. "LEED certification is the icing on the cake. This recognition reflects the commitment and dedication Duke Realty has for green design, building and operations." Located at 900 Towne Lake Parkway in Woodstock, the Class A MOB is leased solely by Northside Hospital and houses a wide variety of outpatient healthcare services and physician practices. 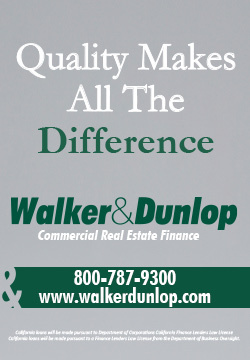 Duke Realty Towne Lake Development LLC, a wholly owned entity of Duke Realty LP, owns the facility.